I had the opportunity to meet Gerard Mach back in spring of 1993. I had just “retired” from open competition at the age of 30 and moved to Ottawa, Canada. I spent 9 years with the same coach, Dennis Barrett of McGill University, and it was time to get a real (high paying) job and move on with my life. People think the Gerard Mach drills consists only of A’s, B’s and C’s, but it was actually more than that. You’ll have to find a copy of Mach’s 1980 edition of Sprints & Hurdles, which is no longer in print. Every attempt to contact Mr. Mach or his family have been futile to have it re-issued. 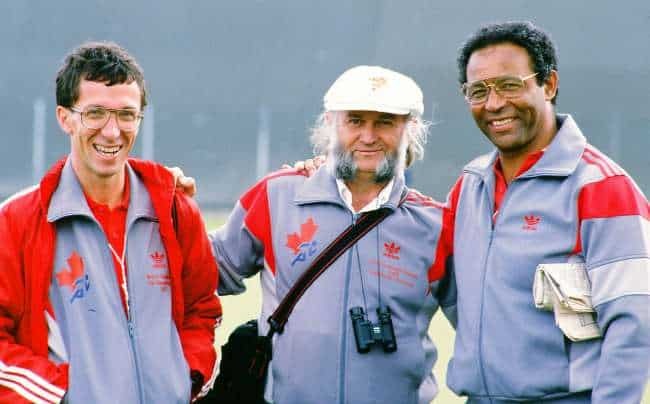 You can read the history of Gerard Mach and his influence on the Canadian Coaching system in my 2007 article. To call them “speed drills” would be a misnomer. To me, they are “form drills”, that is maintaining biomechanically good posture in the sprinting cycle. In my annual plan, these drills fell under the “warm up” section. Gerard Mach broke down the sprint stride into 3 components: knee lift/hip flexor, foreleg action or clawing action, and the push off. Hence the terms A, B and C respectively. The ‘A’ Drills were designed to work the knee lift. The ‘B’ Drills were worked the foreleg reach or clawing action and the ‘C’ Drills worked on push off and extension. All exercises with leg extension and “active down” such as the B drills are special exercises and drills to strengthen the hamstrings. Other exercises were designed to develop the technique foe the required body lean, arm action, high knee lift, leg extension, and keeping the center of gravity high (i.e. staying tall). For more information on hip height, see Derek Hansen’s Hip Height video, or my article on hip height. Of course, life wouldn’t be life without controversy. The knee lift can occur several ways: using the hip flexor to lift, or the action/reaction from the ground (see law of physics). Stomp your leg into the ground quick, fast and hard, and you’ll get the knee lift you desire. Latif Thomas makes this point clearly in his Complete Speed Training DVDs. The biggest correction of these drills is, you guessed it, the forward speed of movement. 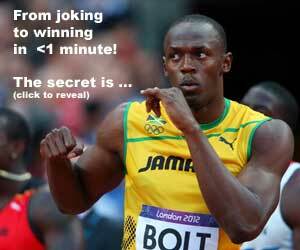 Often, athletes go way too fast, but according to Mach, he aims for a speed of “3 steps per meter”. In general, we do 3 x 10m of each drill (A, B, C) on a grass surface (but would go on the synthetic track when it was raining… nobody likes wet socks). Each drill had three “speeds”: Marching, Skipping and Running, so the three drills would be called A1, A2, A3, B1, B2, B3, C1, C2, C3. Usually 10 meters was the norm, and if we were to go shorter than that, say 5 meters or even 5 seconds in duration, we called them “Power Speed” for the A Drills. Of course, you can add resistance to these drills by use of a weight vest, or by using a harness and isorobic ropes (see the Clyde Hart H Drill… he called them H because the triple extension of the legs formed a small “h”) and Mach would call these “Power Speed mixed”. For our 400 meter sprinters, my old coach Dennis Barrett would make us do 2 or 3 sets of marching A’s (i.e. A1) for up to 50 meters! Talk about hip flexors exploding! Irena Szewinska (who was coached by Mach) reportedly did 200 meters of this, and the great Lee Evans did 400 meters! NOTE: Of course, when form breaks down, STOP THE DRILL! Q: What’s worse than doing drills badly? do you have any video clips showing these drills? @doug, I am working on it!